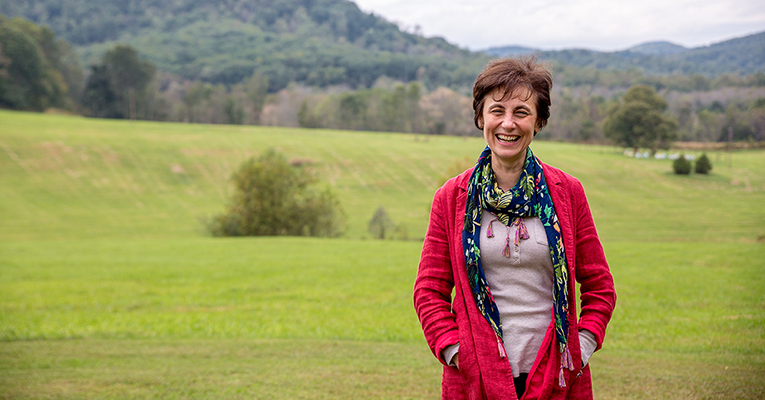 Professor of Mathematical Sciences Raina Robeva, who leads Sweet Briar College’s Center for Engineering, Science and Technology in Society, has received the 2018 H. Hiter Harris, Jr. Memorial Excellence in Undergraduate Teaching Award from the Virginia Foundation for Independent Colleges. Robeva accepted the honor at a luncheon in Richmond today. 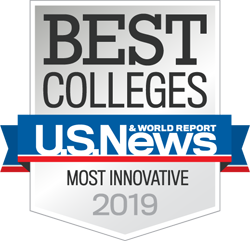 The award comes just weeks after Robeva received the 2018 Intercollegiate Biomathematics Alliance Distinguished Senior Fellowship, which honors scholars with outstanding contributions to mathematical biology. It’s rewarding to be recognized for her scholarship and teaching alike, says Robeva, who is currently piloting Sweet Briar’s Google-designed computer science course, Foundations of Python Programming. Robeva is the lead author/editor of the books “An Invitation to Biomathematics” with the accompanying “Laboratory Manual of Biomathematics” (2008), “Mathematical Concepts and Methods in Modern Biology: Using Modern Discrete Models” (2013), “Algebraic and Discrete Mathematical Methods for Modern Biology” (2015) and most recently, “Algebraic and Combinatorial Computational Biology” (September 2018), all published by Academic Press. Robeva is the founding chief editor of the specialty journal Frontiers in Systems Biology, past chair of the advisory board of the National Institute for Mathematical and Biological Synthesis, and chair of the Chapter in Mathematical and Computational Biological Science of the Mathematical Association of America (BIO SIGMAA). Her research interests span a wide range of topics, including systems biology, random processes and fields, and mathematical modeling for biology and the biomedical sciences. Robeva has received funding for her research and educational projects from multiple public and private sources, including the National Science Foundation and the National Institutes of Health, and has mentored numerous student research projects. Her translational research has resulted in three U.S. patents for assessment and diagnosis of attentional impairments. 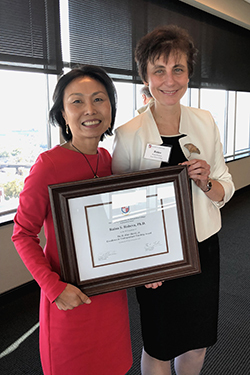 Robeva is a 2014 recipient of the Outstanding Faculty Award of the State Council of Higher Education for Virginia — the commonwealth’s highest honor for faculty at Virginia’s public and private colleges and universities. Robeva has a B.S. in mathematics and an M.S. in probability and statistics from the University of Sofia “St. Kliment Ohridski” in Bulgaria. She earned her Ph.D. in mathematics at the University of Virginia.